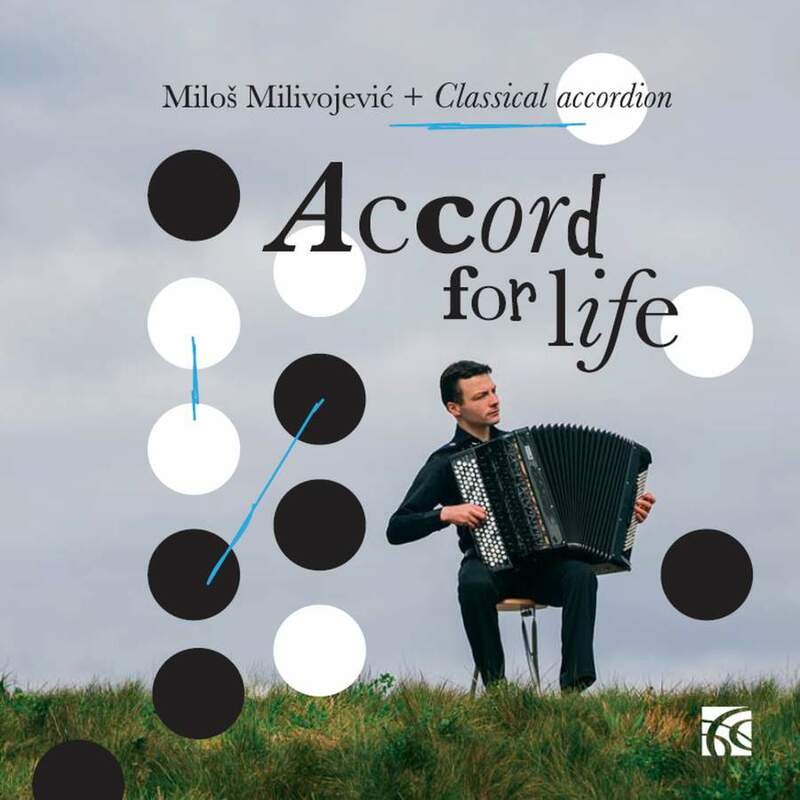 Graeme Humphrey writes: “The first time I heard Miloš Milivojevic play at the Royal Academy of Music in London, the sound of the free- bass accordion was new to me and thrilling to hear, but it was the repertoire that gave me the greatest pause for thought. Music for keyboard (whether harpsichord, clavichord or organ) was now being played on what is essentially a wind instrument. I quickly learned that not all music would successfully transcribe to this ‘new’ instrument. Beethoven and Brahms would be completely out of place in such transcriptions, but there was a considerable body of ‘old’ music that was sufficiently all-purpose as to become exciting and ‘new’, especially in the hands of such a creative artist as Milos. Then there were the truly new composers of the twentieth century who were writing for the instrument and exploiting the unique sound characteristics of both classical and free-bass accordions. In the case of the classical accordion, the sheer sight of two hands (120 buttons on the left hand keyboard completely hidden from the performer’s view, 58 buttons on the right hand side only occasionally looked at in performance) weaving miracles of tightly-packed movement was, of itself, a fascinating and breath-taking visual experience.” This new release is a showcase of that experience, featuring works by Mendelssohn, Scarlatti, and others.